Phone Scoop spends some time with the ZTE Engage and the Alcatel Authority, two new Android phones headed to Cricket in the coming weeks. Cricket Wireless will soon be announcing two new Android phones, the ZTE Engage and the Alcatel Authority. 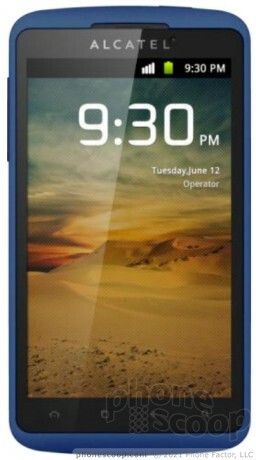 The Engage, which was spotted on the FCC web site earlier this month, features a 4-inch WVGA display, Android 4.0 Ice Cream Sandwich, an 8-megapixel main camera with flash, and a user-facing camera. Why even bother releasing the phone? unknown manufacturer = Alcatel. Apparently they have 3 phones out now. Worse than most basic Android phones..